Everyone wants a thick, lush head of hair. While hair loss is usually associated with men, women can also suffer from hair loss and thinning hair. For women, because hair loss isn’t as common, losing their hair can be even more stressful and devastating. Fortunately, we’ve come across some great tips that can teach you how to stop hair loss and regrow hair naturally. While these tips won’t work for everyone, that can work wonders to naturally stimulate hair growth. Let’s start by discussing hair loss and how you can stop hair fall today. Have you noticed more hair going down the drain when you shower, or more hair stuck to your clothing or in your hairbrush? When you look in the mirror can you clearly see your scalp when before, your hair was so thick and full your scalp was barely visible? Losing anywhere from sixty to two hundred hairs a day is actually normal, but when you begin to lose more than that it can become very noticeable and problematic. But what’s causing the hair loss and how can you treat it? 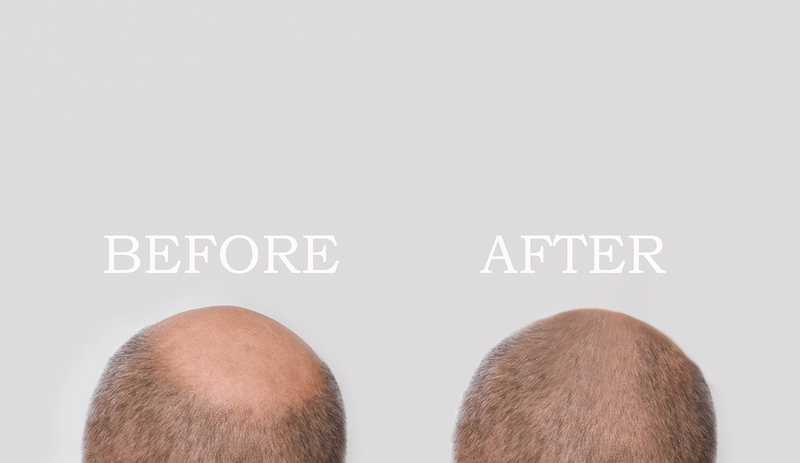 It’s pretty common for people who suffer from hair loss to turn to hair transplant surgery or hair loss products in the hope that it will give them back their full head of hair, or at the very least make their hair loss appear less noticeable. But in truth, the best course of action in cases such as these is to first determine what’s causing the hair loss in order to learn how to stop hair loss and regrow your hair naturally. To start, there are several types of vitamins, minerals, and foods that you can try that are very affordable and can actually make a difference. There are also plenty of natural hair loss remedies such as using essential oils, that have been proven to work to promote hair regrowth. The good news is that with adjustments to your diet and certain lifestyle changes, in conjunction with hair loss remedies, it is possible to regrow your hair, especially if your hair loss is related to scalp issues such as dermatitis, or eczema, or dandruff. These issues can clog hair follicles, causing them to become dormant. When a hair follicle becomes dormant, you’ll soon discover that your hair is noticeably thinner. Did you know that failing to rinse your hair out after working out can also lead to hair loss? This is because the sweat and debris can easily clog hair follicles. This condition is called seborrheic dermatitis. If you’re dealing with clogged hair follicles, you can use the following remedies to totally rejuvenate your scalp and promote hair regrowth. If any of the following hair regrowth remedies fail to work for you, then more intensive treatment may be needed. Products such as the Illumiflow laser hair growth device can stimulate the scalp, encouraging new hair growth. You can click here to read our buyer’s guide on more of the top laser hair regrowth devices, for more intensive treatment. A nutrient-rich diet is crucial for hair regrowth. There are many healthy food choices that can also fend off hair loss in the future. Pumpkin seeds are high in zinc, a mineral that’s essential for hair health. A zinc deficiency has been linked to both hypothyroidism and hair loss. Wild caught fish is another great option. Wild salmon is loaded with omega 3 fatty acids which work to minimize inflammation and support both hair thickening and hair growth. Green tea is high in antioxidants and promotes detoxification and hair growth. It can also prevent the conversion of testosterone into DHT. Caffeine has also been shown to spur hair growth, which is why you’ll now commonly see hair growth shampoos that contain it. 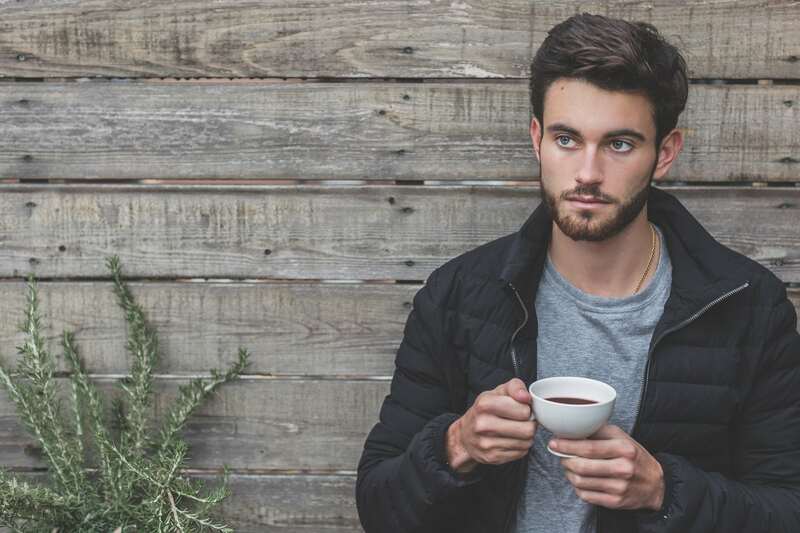 According to studies, caffeine works by stimulating hair shafts, encouraging hair to grow at a faster rate by minimizing the effects of DHT, which is a substance that’s known to slow hair growth. Now that you know which foods can promote hair regrowth, let’s talk about the foods you should avoid at all costs. Trans fatty acids can increase the production of DHT and increase inflammation, both of which can cause hair loss. Avoid hydrogenated oils such as soybean oil and corn oil, which are loaded with trans fats. Sugar also plays a major role in hormone imbalances and can contribute to insulin resistance. It can also increase inflammation and the production of DHT. Any type of processed food should also be avoided. These foods are loaded with salt, sugar, and unhealthy fats. 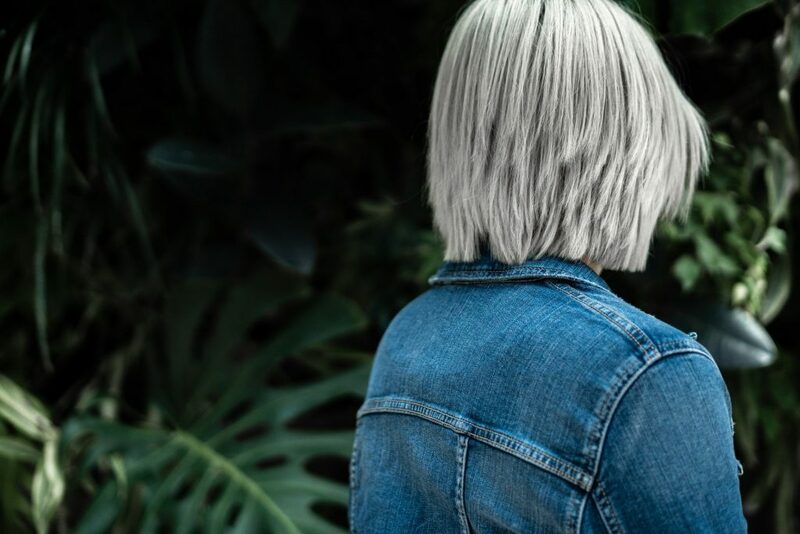 Saw palmetto is a natural DHT blocker that can instantly boost hair growth. Take just three hundred milligrams once daily for the best results. One of the best hair growth tips for men is taking a plygem supplement twice daily. This supplement addresses the cause of hair loss by blocking DHT and improving prostate health. Fish oil can do wonderful things from boosting the metabolism to improving hair, skin, and nails. It also helps to thicken hair follicles and reduces inflammation in the body. This supplement should be taken two to three times a day. Ashwagandha is an adaptogen herb that helps the body to deal with and adapt to stress, working by balancing the hormone levels and naturally reducing the cortisol levels in the body. This will help to encourage new hair growth and can also aid in weight loss. B Complex vitamins are essential for hair regrowth. In fact, taking a high-quality B complex vitamin is one of the best ways to stop hair loss and regrow hair naturally. This vitamin packed supplement will help naturally thicken hair, aids in stress management, and supports adrenal gland health. Our top choice for essentials oils for hair loss has to be tea tree oil. Not only does this oil have antibacterial properties, but it’s actually pretty powerful stuff that can dissolve scalp build-up, helping to unclog hair follicles while stimulating new hair growth. Because it’s so strong, never use tea tree oil alone. Simply add three to five drops per cup of shampoo and wash your hair immediately after a workout. Want more hair growth tips? View our “Best Laser Caps For Hair Regrowth” article. 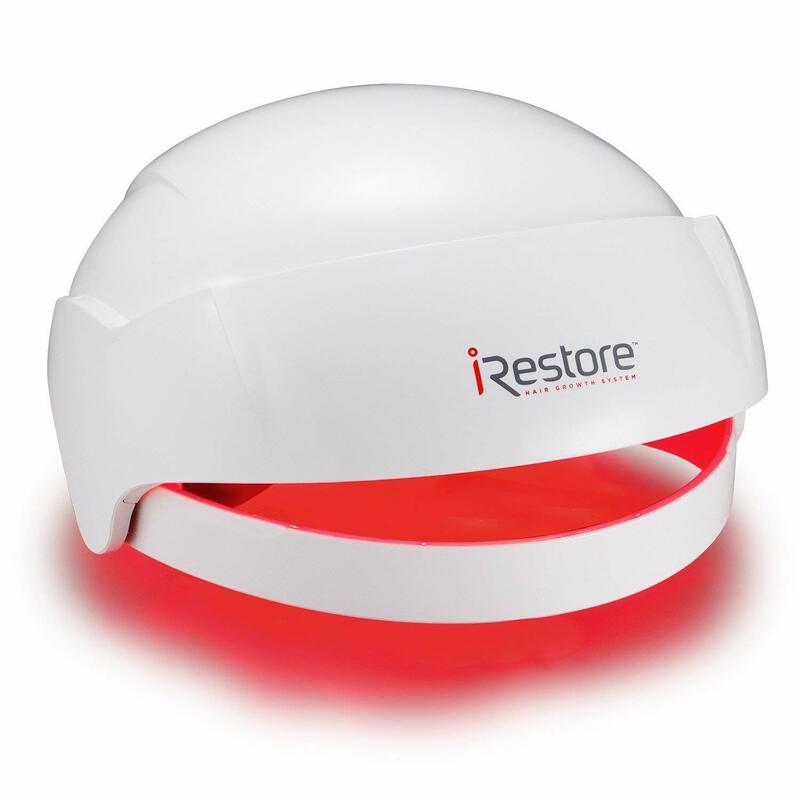 The iRestore laser hair growth system is referred to as a dome, but it looks more like a helmet. Large, and powerful, this laser hair restore system is designed to promote hair growth in a matter of weeks. It can also help to minimize hair fall after just two weeks of use, which goes to show just how powerful this hair loss device really is. But does it really work and is the hype surrounding this innovative home hair loss system true or is it just another gimmick? Let’s find out in our iRestore review. Right off the bat, you’ll notice that this model is an FDA cleared medical device that’s approved for the treatment of hair loss in both men and women. The helmet was developed in a facility that was GMP certified. This hair restoration system is easy to use, and a perfect option for anyone on a tight budget looking for a more affordable solution compared to pricey in-office hair LLLT therapy. This model has been clinically studied. Results determined that the device is, in fact, effective in promoting hair regrowth. During this four-month study, one hundred percent of the study participants saw visible improvement. The average increase in hair growth ranged from forty to forty-three percent. The helmet can be used alone or combined with another type of hair restoration treatment such as hair transplant surgery or with popular hair restoration products such as Rogaine for men and women. For improved results, the manufacturer recommends taking a daily vitamin B complex supplement. Inside this package, you’ll find the hair loss laser system dome, a user manual, controller, and an AC adapter. The dome itself is made out of a durable plastic. The built-in headband is highly adjustable and designed to keep the dome securely in place during treatment. The included controller is used to stop or start treatment. The controller’s small backlit display makes it easy to view the setting and treatment time. There are also two dedicated buttons to start or stop treatment. Inside the helmet, you’ll find a total of thirty LED lights and twenty-one lasers that emit a powerful wavelength of light designed to stimulate the scalp. The inside of the dome is also heavily padded with soft cushions that help to improve comfort during treatment. The helmet is designed for people who have thinning hair or bald areas on the scalp. Obviously, losing your hair can be very stressful, but the iRestore helmet can give you hope that help is on the way. While it can’t regrow your hair overnight, it can slowly stimulate hair growth after just a few weeks of treatment. The treatment itself isn’t painful, although some users may feel as though treatment can be time-consuming. The manufacturer recommends using the helmet every other day for twenty-five minutes. The manufacturer claims the device works to regrow hair in people diagnosed with androgenic alopecia, also known as male pattern baldness. Men and women with androgenetic alopecia have hair loss in a well-defined pattern that usually begins above the temples. Over a period of several months or years, the hairline will recede, forming the characteristic M shape. The hair can also thin at the crown, slowly progressing to complete or partial baldness. In women, the pattern of hair loss differs compared to the pattern of hair loss in men and often becomes thinner all over the head. The hairline doesn’t recede. In women, androgenetic alopecia rarely leads to total baldness. This type of hair loss in men has been associated with a number of other medical conditions including the enlargement of the prostate, and coronary heart disease. Additionally, insulin resistance, high blood pressure, and obesity can all be contributing factors to hair loss. In women, this type of hair loss is usually associated with polycystic ovary syndrome, which is characterized by a hormonal imbalance. This hair regrowth laser system will switch on for twenty-five minutes per treatment session and will switch off once treatment is complete. At the end of the session, the controller will beep as the lights automatically turn off. The helmet will not emit any heat during treatment. Unfortunately, users will not have the ability to adjust the treatment time, as the helmet only offers the automatic twenty-five-minute treatment, unlike the Capillus Pro laser therapy cap which gives users more treatment options. For more hair loss LLLT treatment options, click here to check out our laser hair growth system buyer’s guide. There have been reports that new hair growth is apparent after just eight to ten treatments, or a period of two weeks, which is pretty impressive. Most users reported that treatment was only necessary for a period of four months, however, the manufacturer also recommends using the dome one to two times a week for maintenance purposes. During the first couple of weeks, you won’t notice much in terms of new hair growth. However, there were a number of reports stating that hair fall was significantly reduced, even during a shower. If you’ve ever dealt with the heartbreak that comes with washing your hair and watching hundreds of strands going down the drain, then this alone will be a huge incentive to buy. Hair growing after laser treatment will be thicker, and softer. Treatment can also have a major positive impact on the texture and quality of your existing hair. *UPDATE: Following on from my iRestore review, I still continue to use it and believe it to be an essential piece of kit in my hairloss battle. Lightweight, comfortable, easy to use, and proven effective, this iRestore LLLT treatment dome received plenty of positive feedback from satisfied men and women. The only real drawback is the inability to set the length of treatment. Overall, the device is reasonably priced and can provide results in a matter of weeks. We gave this model a rating of five stars. The Illumiflow laser helmet is another popular hands-free LLLT device designed to stimulate hair growth in a few months. Utilizing low-level laser therapy, the helmet is designed to offer gentle, effective hair growth treatment that can help to improve the texture and condition of existing hair, while promoting new growth. The helmet is designed to treat hair loss in both men and women and can effectively boost hair growth in people suffering from androgenetic alopecia, which is one of the most common causes of hair loss in men and women. But unlike other LLLT devices, whether it’s comb, cap, or helmet style, treatment with this helmet takes a whopping thirty minutes per session, which for some, seems pretty excessive. Just for that fact alone many people gave this model a low rating, but the real question here is does it work? The helmet itself is somewhat bulky, but it does feature a lightweight design that makes it easy to wear for the longer than average treatment time. Long treatment time aside, the focus should be on whether or not the Illumiflow helmet has what it takes to stimulate hair growth. Compared to other models in the price range there doesn’t seem to be much of a difference in regard to laser technology or power, which makes us wonder why the treatment time for this model is almost three times the average LLLT session? Just like the HairMax Ultima 9 laser hair comb, one of Illumiflow’s top competitors, this is an FDA cleared LLLT device that’s easy to use and highly portable. It’s designed to treat extensive hair loss, receding hairlines, and thinning hair. Treatment is designed to reenergize hair follicles while promoting new hair growth and improving the thickness and texture of existing hair. The cap is clinically proven to be effective and safe. At this time there have been no known side effects related to treatment. The helmet is equipped with two hundred and seventy-two laser diodes, which is higher than the average LLLT cap. The cap is designed to provide full scalp coverage and it’s calibrated to six hundred and fifty NMs for improved scalp penetration that can boost hair growth results. The manufacturer has also included a thirty-minute automatic shutoff feature which is a nice safety feature to have. As we touched on earlier, treatment consists of three thirty-minute sessions a week. Considering the lengthy treatment time, the manufacturer has also included a cap that can be worn over the device, so you can wear it when you’re out and about and no one will know. If you’re searching for an LLLT device with a shorter treatment time, click here to read our buyer’s guide which lists the top models of laser hair growth devices on the market. The helmet applies low-level laser therapy directly to the scalp, improving blood flow, which, in turn, brings essential nutrients to the scalp that can boost hair growth. Consistent use also promotes cellular metabolism, which will help encourage new hair growth. This new growth is said to be much thicker and stronger. Additionally, if you’d like to try LLLT therapy because you’ve noticed an increase in hair fall, regular treatment can halt shedding and can even lengthen the hair growth cycle. If you’re like other men and women who have experienced an increase in daily shedding, nothing can be more devastating than cleaning out the drain and getting an up-close look at just how much hair you’re now losing on a daily basis. The fact that this device can minimize, or halt excessive shedding is a huge selling point for anyone searching for a hair loss solution. Feedback regarding treatment effectiveness was mixed. Some people stated that they noticed new growth within four months of treatment, while others felt that the helmet did absolutely nothing to improve hair texture or encourage new growth. If you’ve just begun experiencing excessive hair shedding, we recommend first meeting with your physician to determine the cause. If you’re like millions of other Americans and your hair loss is caused by genetics, then this LLLT device can help with hair regrowth. However, if your hair loss is due to an underlying cause such as hyperthyroidism or a vitamin deficiency, then you will not experience any results until the underlying condition has been treated. The average length of treatment is six months however, the manufacturer does recommend continuing to use the device for the long term in order to maintain new hair growth results and to continue to improve blood circulation in the scalp and stimulate hair growth. The included rechargeable battery pack lasts for approximately one treatment and takes one hour to charge. The battery pack combined with the cap somewhat makes up for the lengthy treatment time. This model is priced affordably, features a lightweight design, built-in safety features, a comes with a cap so you can go about your day while undergoing treatment. 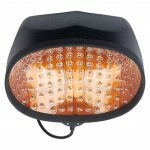 Basically, this model is very easy and convenient to use, and it provides great results under the right circumstances. Despite its lengthy treatment time, which was the number one complaint users had, the Illumiflow laser helmet works the same as any other home LLLT device. It’s effective if the hair loss is treatable, I.e. treatment is sought within at least two years of initial hair loss and the underlying cause of the hair loss is due to genetics or a condition that is being treated. In some instances, treatment will not work in which case, the manufacturer offers a thirty-day money back guarantee. We gave this helmet a rating of four out of five stars. Want more hair growth tips? View our "Best Laser Caps For Hair Regrowth" article. Want to learn how to tackle bald spots? Bald spots on your head can make you feel self-conscious and can even make you avoid going out with friends or participating in the activities you once loved. Millions of people all over the world suffer from hair loss, which occurs when the hair follicles basically shut down and cease producing keratin. Keratin is a type of chemical and it’s what’s responsible for hair growth. Once keratin production stops, hair will not grow, causing bald patches to develop. Learning how to regrow hair on bald spot can give you back that confidence you’ve been lacking ever since you noticed an increase in hair fall. If you’ve been doing your research regarding hair growth solutions, then the odds are you’ve come across LLLT devices that are designed for hair regrowth. This type of treatment can be performed in the office of a dermatologist or plastic surgeon. It involves the use of a laser designed to stimulate the scalp and promote hair growth. This type of treatment can be expensive, and unfortunately, it’s not covered by insurance. These days, many leading manufacturers now produce laser light therapy devices designed for home use in the form of combs or caps. Exciting new models such as the Kiierr272Premier Laser Cap have a high user rating regarding results. All devices in this category are looked after by the FDA requiring approvals to keep the public safe. So be sure to only use products from brands like Kiierr who are FDA cleared for your protection. Hair regrowth with low level laser treatment has now been around for over a decade and proven safe/effective results regardless of the root cause of hair loss. Typically, hair loss caused by heredity can be more difficult to treat, however LLLT treatment works regardless of hair loss type. To learn more, click here to read our laser hair growth buyer’s guide where you’ll find information on more leading models and what you can expect from treatment. Your first option is using a product called Minoxidil, which is an over the counter medication that you can find at pharmacies and some retail stores. Over a period of a few weeks, with a consistent application, you should notice new hair growth. However, this product will not be effective for receding hairlines. If you’ve noticed random patches of hair loss, minoxidil can work, but it will only keep up the hair growth for as long as you use the product. You will also need Finasteride (also known as Propecia) which inhibits DHT levels and stabilizes your hair. Another option is trying a dandruff shampoo. Often, people don’t realize that dandruff can lead to hair loss if left untreated. Even worse, in some cases, if you fail to use a tougher shampoo, such as one designed to get rid of dandruff, you can also lose your hair if you sweat a lot. People who work out and don’t rinse their hair immediately after can struggle with an increase in hair fall and permanent baldness. This is because the sweat, dirt, debris, and gunk from hair products clog the hair follicles when you sweat. Steroid injections are another option. According to dermatologists, injections are one of the most effective ways to regrow hair. A dermatologist will inject steroids directly into the scalp, which will protect hair follicles from further damage. The steroid solution will also help skin cells start keratin production. The result is new hair growth on bald patches. The right amount of protein needed for body and hair health varies from person to person. Many fitness enthusiasts and nutritionists now claim that a person should consume one gram of protein per pound. Excellent lean protein sources include skinless chicken breasts, Greek yogurt, and eggs. Dehydration can also play a role in baldness. When you’re dehydrated, the body isn’t getting the nutrients it needs in order to produce keratin, which of course is the chemical responsible for hair growth. You should consume a minimum of sixty-four ounces of water daily. Baldness involves excessive hair loss and can be the result of certain medications, heredity, or even an underlying medical condition. When genetics are to blame, the condition is then referred to as male pattern baldness. You may be going bald, or it could simply be a matter of normal hair fall, or the result of thinning hair caused by medication or clogged hair follicles. If you believe you’re going bald, there are some obvious signs that can indicate whether or not baldness is in your future. Hair loss can be caused by stress, but hair loss itself can be incredibly stressful. So much in fact, that many men and women who are struggling with it have found that they absolutely dread washing their hair. Clumps of hair falling out and going down the drain when you wash your hair can be a major sign that you’re going bald. You may also find hair scattered on your pillow, clothing, or the couch. For some people, excessive hair shed is totally normal. 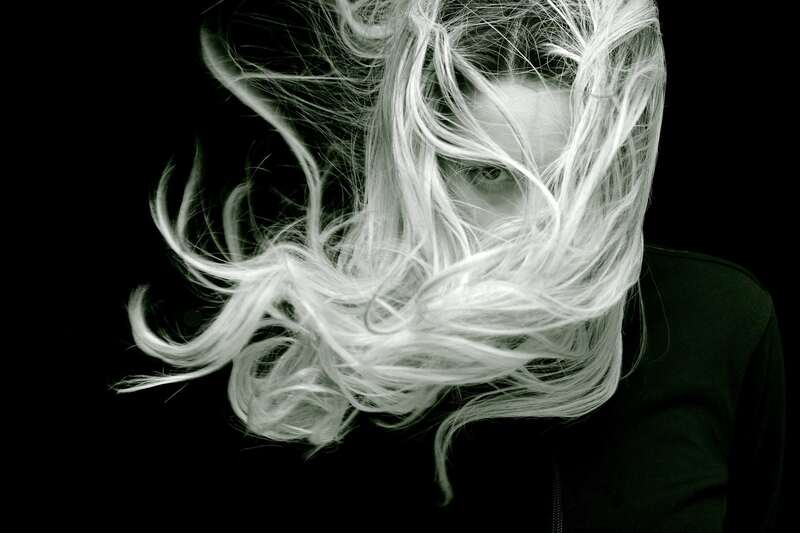 On average a person loses around fifty or sixty strands of hair a day, while others can lose up to two hundred strands. 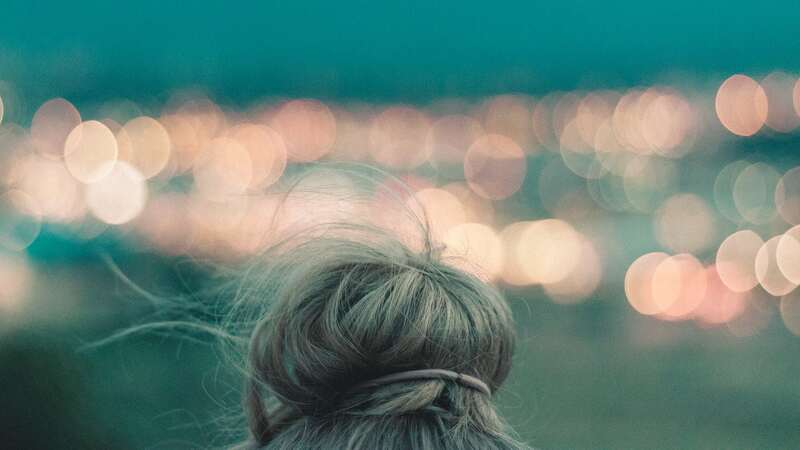 But if you normally lose around fifty strands a day and over the past several months it has increased up to two hundred strands or more, this is an indicator that you’re losing your hair, whether it’s related to stress, genetics, or an underlying health condition such as hyperthyroidism or a general hormone imbalance which is common after pregnancy. When you do your hair in the morning do you notice your brush or comb is now packed with hair? This is another common sign of serious hair loss. If you’ve started noticing more hair in your brush or comb, keep an eye on this for a few weeks and determine how often you need to clean out your brush. Have you noticed lately that you’re looking older? Try looking at old photos and compare them to recent ones. 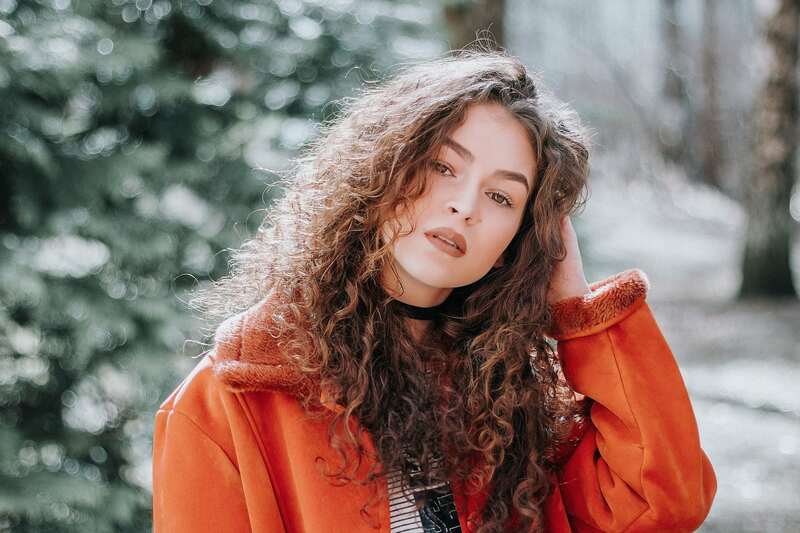 Is there’s a noticeable difference in the thickness of your hair? Thinning hair tends to look unhealthy and can actually add years to your face. If your hair loss is becoming more noticeable it may be time to make an appointment with your doctor to rule out any underlying health condition. If your doctor gives you a clean bill of health, then your next move should be changing up your hygiene habits and trying effective home treatments designed to boost keratin production and hair follicle health. How to increase hair growth using home remedies is totally possible, but it can also depend on the underlying cause of your hair loss. As an example, if your hair loss was directly related to a hormonal imbalance, but you waited several months before seeking hormone therapy treatment, then it may not be possible to correct this issue because the hair follicles will remain dormant indefinitely. However, there are still many alternatives you can try that can reverse the effects of hair loss. So, if you notice heavy hair fall and thinning, and you’re worried that you may be suffering from hair loss, you can try these powerful home remedies that can boost hair growth in no time. What is so convenient about these treatments is that they’re readily accessible, natural, and safe to use. Let’s begin by looking at a popular hair loss home remedy using eggs. Eggs contain a lot of protein, which can help the development and formation of new hair strands. Additionally, eggs are also rich in phosphorous, iodine, selenium, iron, zinc, and sulfur. If you want to try a more powerful egg-based remedy, make an egg mask by separating the yolks from the egg whites, adding one teaspoon of olive oil to the whites. Once the consistency becomes paste-like, apply it to your hair and leave it on for one hour. Once the hour is up, rinse it out using a gentle shampoo and warm water. The onion offers a lot of benefits other than adding flavor and texture to your favorite dish. Using onions to stimulate hair growth is an old remedy and it’s still commonly used because it works. Onions contain high volumes of sulfur, which can boost collagen production. This, in turn, aids in hair regrowth. The strong onion smell will easily fade away after one rinse. To use this remedy, simply cut a few slices of onion and squeeze out the juice by mashing it up. The juice should be applied directly to the scalp for twenty minutes. Rinse the hair in warm soapy water. Lemons are packed with vitamins and nutrients including a variety of B vitamins and vitamin C. They’re also loaded with antioxidants, which are needed to facilitate hair growth. The vitamin C works to stimulate the scalp, promoting hair growth and stronger strands. This treatment should only be used once a week in order to prevent drying out the hair. To use the lemon hair growth remedy, take one lemon and juice it, mixing the juice with one tablespoon of olive oil. Leave the mixture in your hair for half an hour, then wash it out using a mild shampoo. Apple cider vinegar can cleanse the scalp while maintaining the pH balance of the hair and removing any debris and built up dandruff that may be responsible for clogged hair follicles. To use, mix twenty milliliters of vinegar with one liter of water. After rinsing your hair with vinegar you’ll immediately notice how shiny and clean it looks. Most people love green tea because it tastes great, and it has a reputation for boosting the metabolism and naturally curbing the appetite. But green tea is also widely used because it’s rich in antioxidants, which can help prevent hair loss in the future, while also boosting hair growth. To use, apply warm green tea directly onto the areas of your scalp that are noticeably thinning. Want to know how to grow hair on bald spot? Use this green tea remedy two to three times a week. The antioxidants and caffeine in the tea can wake up otherwise dormant hair follicles, stimulating the scalp and promoting new hair growth. The tea should be left on the scalp for one to two hours. Coconut oil is commonly used to complement other types of home remedy treatments. It’s the perfect choice for a carrier oil when used in conjunction with essential oils, and it very gentle and works to hydrate the scalp. However, coconut milk can also provide plenty of its own benefits. Coconut milk is loaded with essential fats, potassium, and iron. We recommend using milk from a fresh coconut for the best results. Add just one tablespoon of lemon juice mix well and apply to the hair. Leave the mixture on overnight. This herb has been used to regrow hair for thousands of years. You’ve probably heard countless testimonials regarding the power of fenugreek because of its high nicotinic acid and protein content. Many men and woman commonly add it to their shampoo or conditioner for this reason, but it can also be added to your favorite hair mask to boost hair health and regrowth. Making your own fenugreek hair mask is simple. To do, add a couple of tablespoons of fenugreek with half a cup of water. Grind the fenugreek until it forms a paste. Add two tablespoons of coconut milk and apply directly to the scalp. Leave the mixture on for one hour, rinsing out your hair using a shampoo that’s sulfate-free. You don’t hear much about using castor oil for hair growth, but it’s actually one of the best scalp treatments for people with dandruff. Castor oil has antibacterial and antifungal properties that can also combat scalp infections, which can prevent hair from growing. It’s also loaded with omega six fatty acids, proteins, vitamin E, and other nutrients that can penetrate dry strands of hair, sealing hair shafts in order to retain moisture. But most importantly, it makes an amazing hot oil treatment. To use this handy hot oil treatment, heat up the oil on the stove, on low. Apply the oil to your scalp, working it to the ends of your strands. Gather your hair on top of your head and place a shower cap over your hair. Leave the castor oil on for thirty minutes. Rinse with a gentle cleanser and warm water. This treatment should be repeated once a week or twice weekly for extreme hair loss. 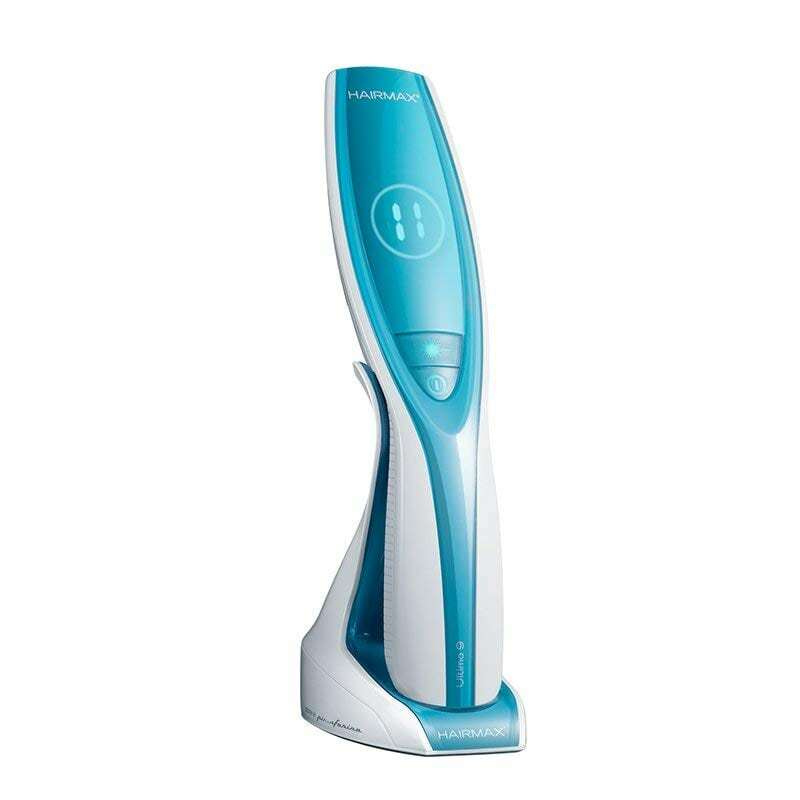 The Ultima 9 by HairMax is a laser comb device designed to stimulate hair growth using LLLT phototherapy technology. While this may sound like a big job for a little comb, many people who have used this product swear by its effectiveness. Designed and developed by Henry Peal in Australia and now produced in America, this miracle comb has been sold in over one hundred and fifty countries. Because of the growing interest in low laser light therapy, more and more people are turning to this type of hair regrowth solution considering it’s a much more affordable option compared to costly surgical hair regrowth procedures. A laser comb may not sound like it can do much in terms of promoting hair growth, but this comb uses low-level lasers to stimulate the scalp, improving circulation and encouraging new growth. The comb is said to be totally safe and won’t cause scalp irritation or any other known side effects. The infrared light used works to stimulate the hair follicles, waking them up from a dormant state, causing them to swing back into the regular hair growth cycle also referred to as the anagen phase. This process will naturally increase both keratin and ATP production, which are enzymes that are in charge of delivering energy to hair follicles. The comb will increase blood circulation, which is what speeds up the delivery of these key nutrients, allowing for new healthy, strong hair to grow. And the result? Fuller, stronger hair, and a reduction of hair loss and shedding. When you first begin to lose your hair, one of the major indicators that you’re going bald is the massive amount of hair you normally shed in a day. While the average person tends to lose around sixty strands and can lose up to two hundred, people who are slowly going bald can easily lose twice the amount they normally did, which can be pretty alarming. This comb is FDA cleared and has been clinically tested, undergoing a total of seven double-blind studies. Participants in the study suffered from androgenetic alopecia for twelve months or less. Each participant used the Ultima 9 for a period of twenty-six weeks. According to the manufacturer, the comb had an impressive ninety-three percent success rate with an average of nineteen centimeters of growth in a six-month period. In regard to safety, there were no side effects reported during the study. While the results may sound impressive, the study also found that if the comb is not used on a consistent basis, the chances of benefitting from treatment is significantly reduced. Additionally, many participants and consumers alike were frustrated with the lengthy growth process. Just keep in mind that hair follicle stimulation and hair regrowth take time. Using the comb is simple. Just pass the comb over the entire scalp but pay special attention to the areas where you suffer from thinning hair or total hair loss. The manufacturer recommends using the comb on a clean scalp that’s free of sprays, gels, and other types of styling products because they can block the infrared light from reaching the hair follicles. If you’ve been undergoing treatment for how to regrow hair on bald spot, go over these areas a few extra times and treat them with a hair growth shampoo or foam such as Rogaine. Consistency will be key to hair growth. If you can’t commit to following the treatment instructions, then you can’t expect the treatment to be effective. For more LLLT hair growth device options, click here to read our extensive buyer’s guide on the leading models. Over 2/3 of men will experience some type of hair loss before or by the age of thirty-five. By the age of fifty, this number shoots up to fifty-five percent. Over forty-five percent of hair loss sufferers are women, although it’s not as widely discussed as hair loss in men is. Androgenetic alopecia, or male pattern baldness, is often to blame, although there can be many causes of hair loss in both men and women, ranging from dermatitis to hormonal imbalances, or genetics. The manufacturer claims that in less than three months, users of the Ultima 9 laser comb will experience twenty percent hair growth. The company also claims that due to the reduction of hair loss and the scalp stimulation, the existing hair will become more vibrant, thicker, and manageable. There has been plenty of debate regarding whether or not LLLT therapy is effective. But in order to see results with this specific model, users will need to commit to consistent treatment. The manufacturer recommends treatment three to four times a week for a period of ten to fifteen minutes for three months or until desired results are achieved. Generally, there was pretty mixed feedback from users. Some claimed they did experience results throughout the duration of treatment, noticing hair that was fuller, with improved texture. Others claimed that they had more hair fall than usual when they first started treatment. However, this issue is actually mentioned by the manufacturer on their website. The company mentions that an increase in shedding will occur during the first few weeks of treatment, but that hair will grow back healthier and stronger, quickly. 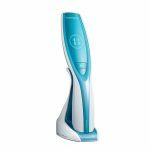 If you’d prefer a hands-free LLLT treatment option, we recommend the iRestore laser hair growth system. The product is covered by a two-year warranty and a five-month money back guarantee. Treatment time takes much longer compared to competing laser hair regrowth devices. The Ultima 9 laser comb by HairMax may or may not work for you. Often, LLLT success heavily depends on how recent the hair loss is. Most manufacturers recommend seeking treatment as soon as possible. LLLT treatment is the most effective in people who have experienced hair loss within the first year. Overall, this product received good feedback from consumers who used it consistently over a period of five to six months. We gave this device a rating of four out of five stars.